Ever bring home gorgeous flowers only to find that once arranged, they look kind of.... meh? No more! Learn how to read your flowers and vase so that you will know how to arrange your flowers EVERY. TIME. I will walk you through different vase styles, how and where to insert your flowers, and how to categorize and sequence your flowers in a way that takes the guesswork out of floral arranging. Read your vase so that the shape of your arrangement always make sense with your vase. Categorize your flowers so that you choose the right flowers for the right place. Sequence your flowers so that arranging is straight forward. Use natural plant forms to inspire your work. I learned floral design in 2009 from You Tube. 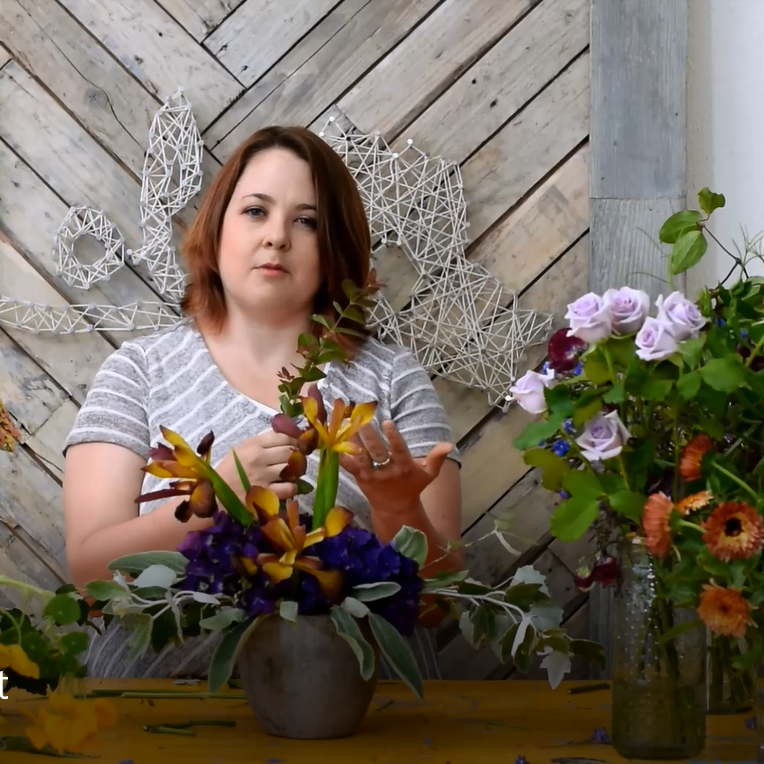 Back then you couldn't find a high-end floral tutorial, but with a lot of experimentation, I was able to quit my job as a landscape architect and start my creative business. Now I want to teach you common sense flower arranging that will get you lush, naturalistic arrangements. You won't find this stuff in a course book.